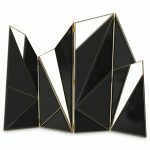 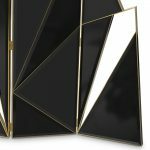 Feast your eyes on our glamorous delta folding screen which is made from four panels. 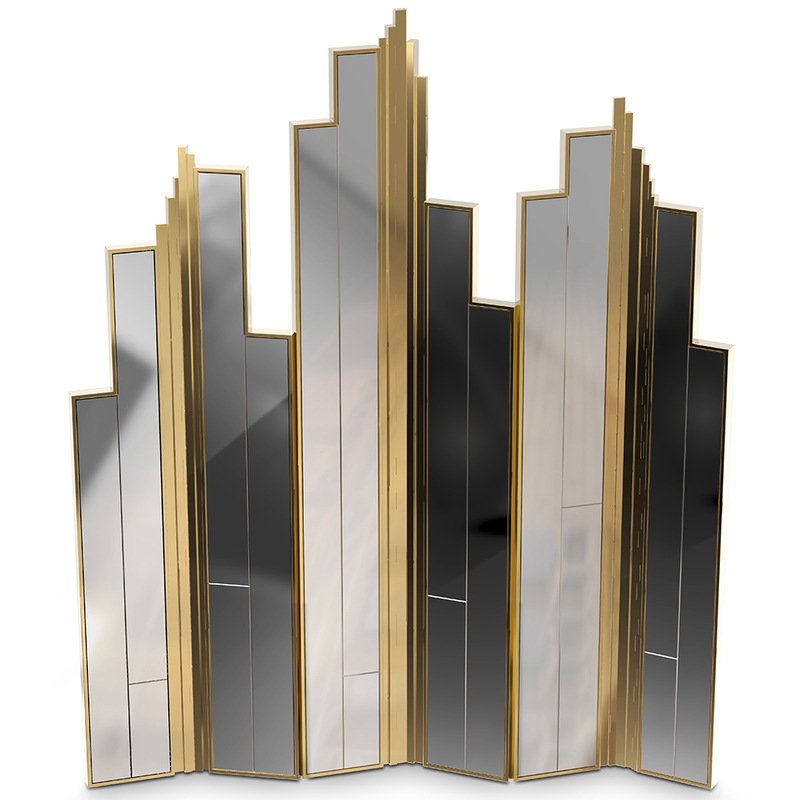 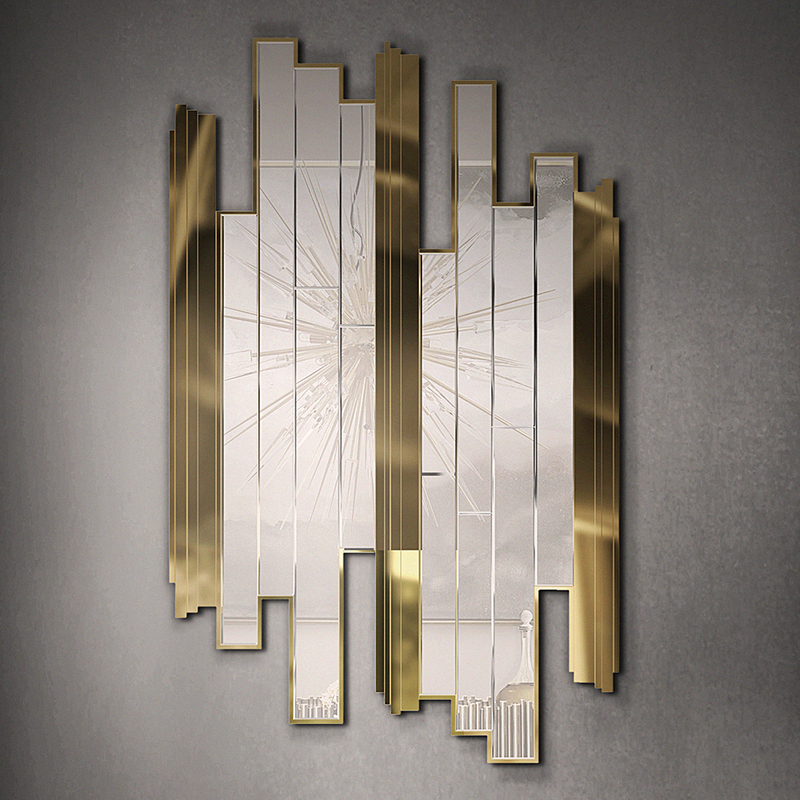 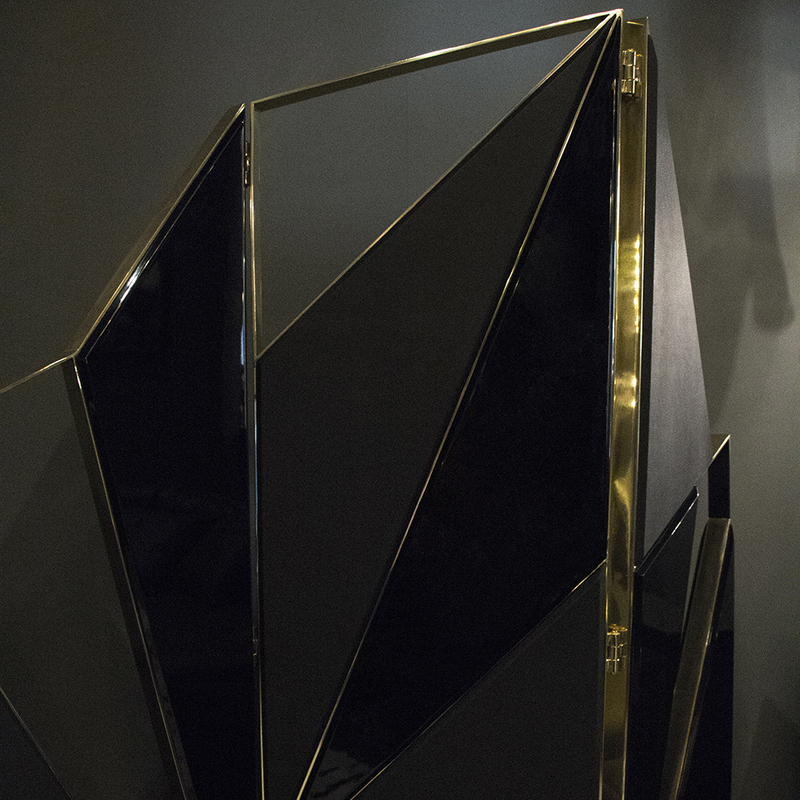 The outer frame of the screen is in gold polished brass and can also be made in a shiny stainless steel finish. 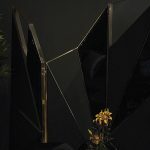 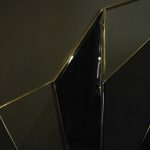 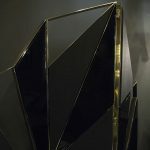 The internal parts are built from triangular pieces in solid wood with a black lacquered finish. 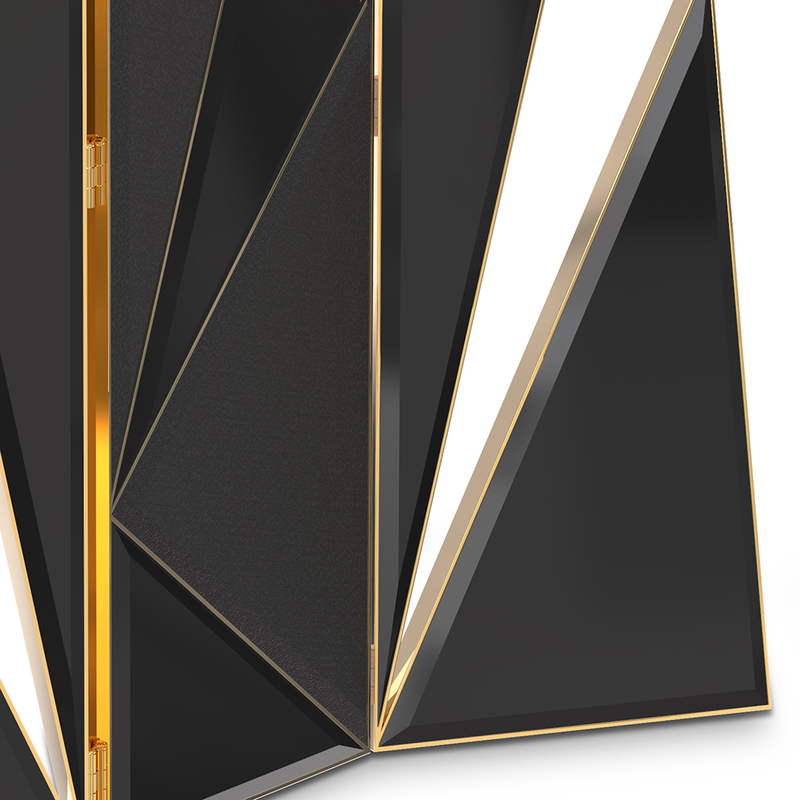 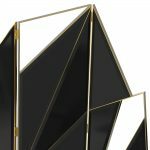 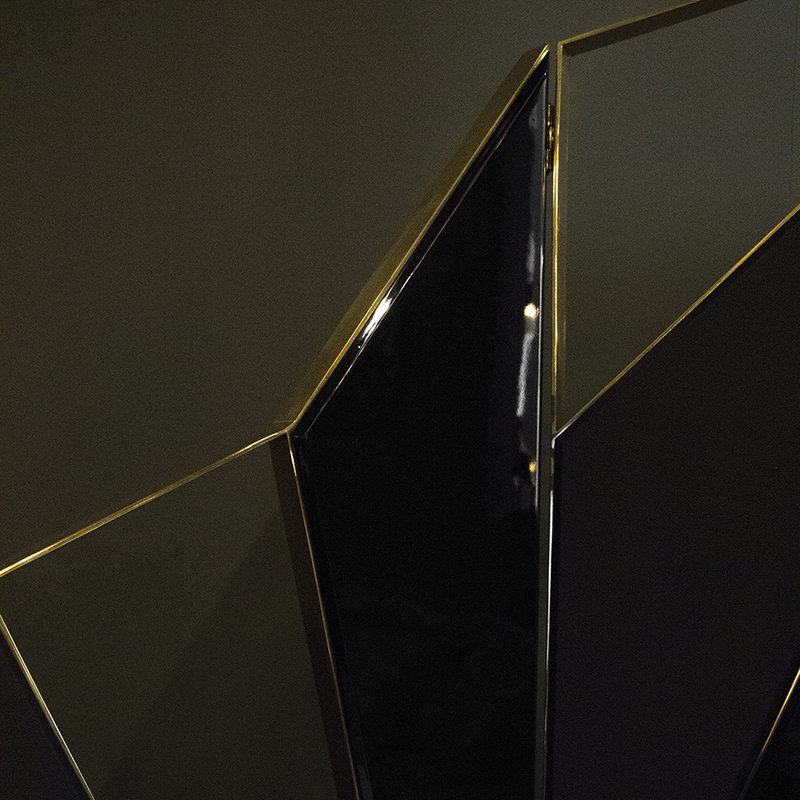 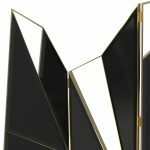 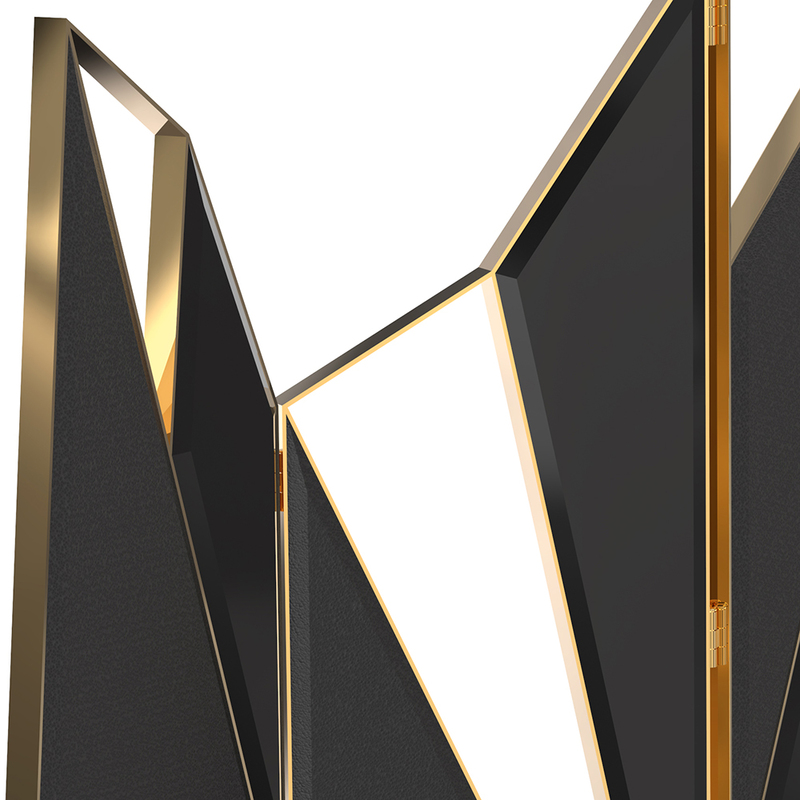 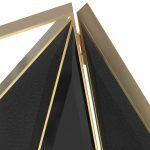 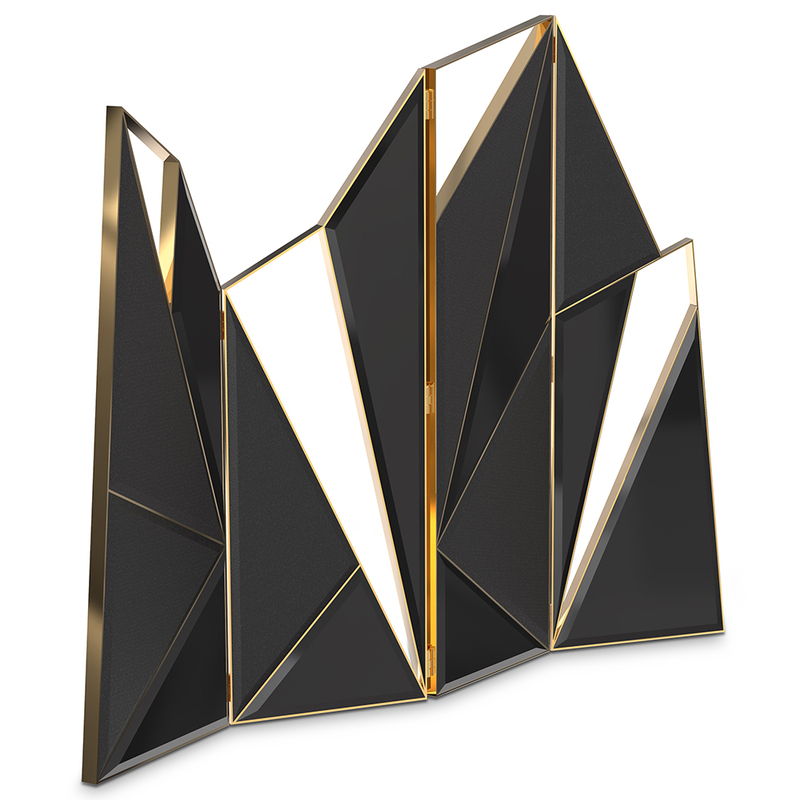 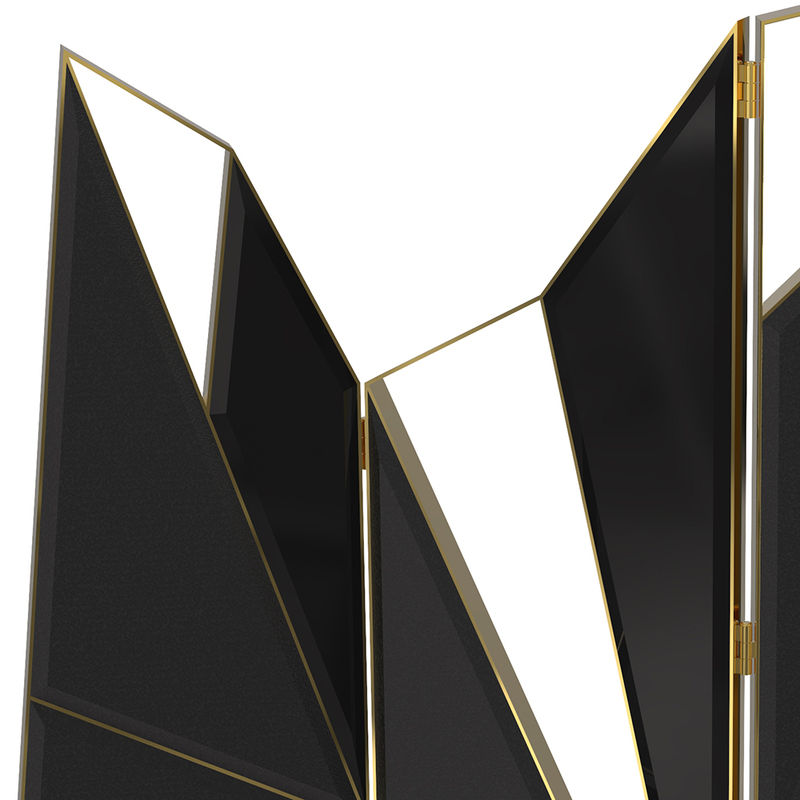 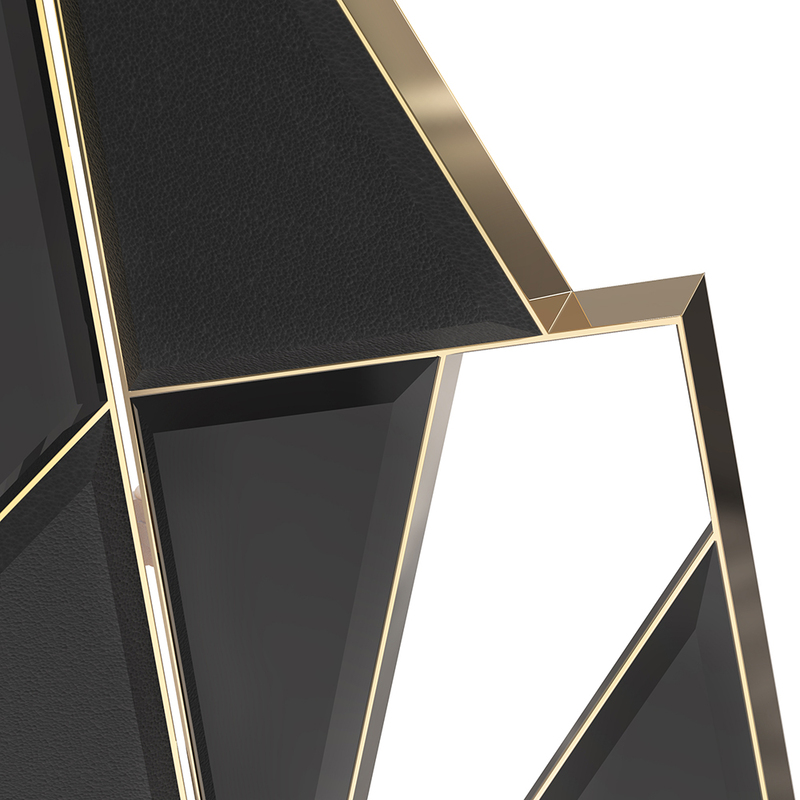 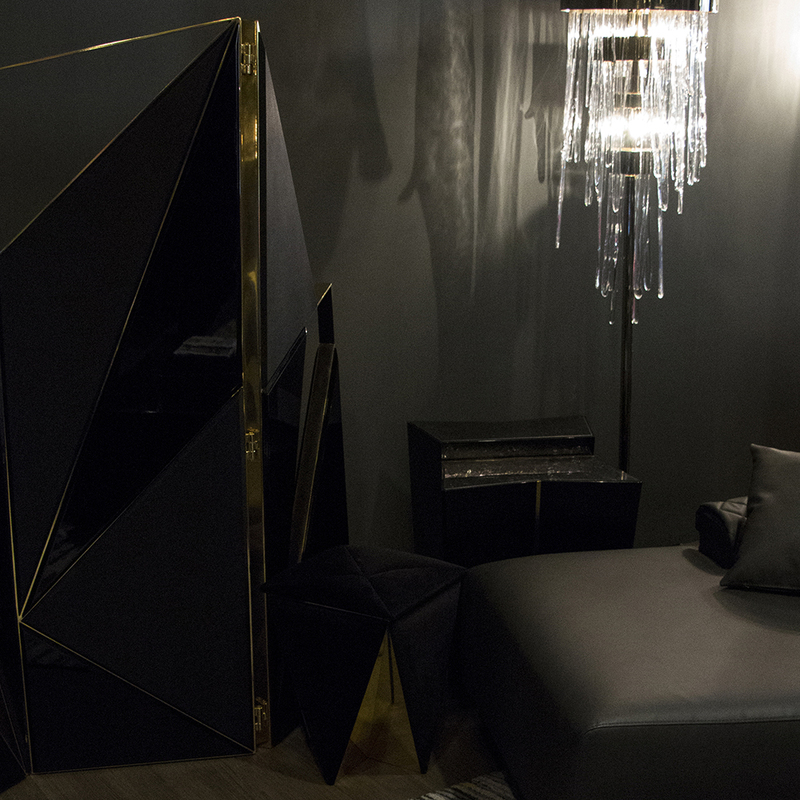 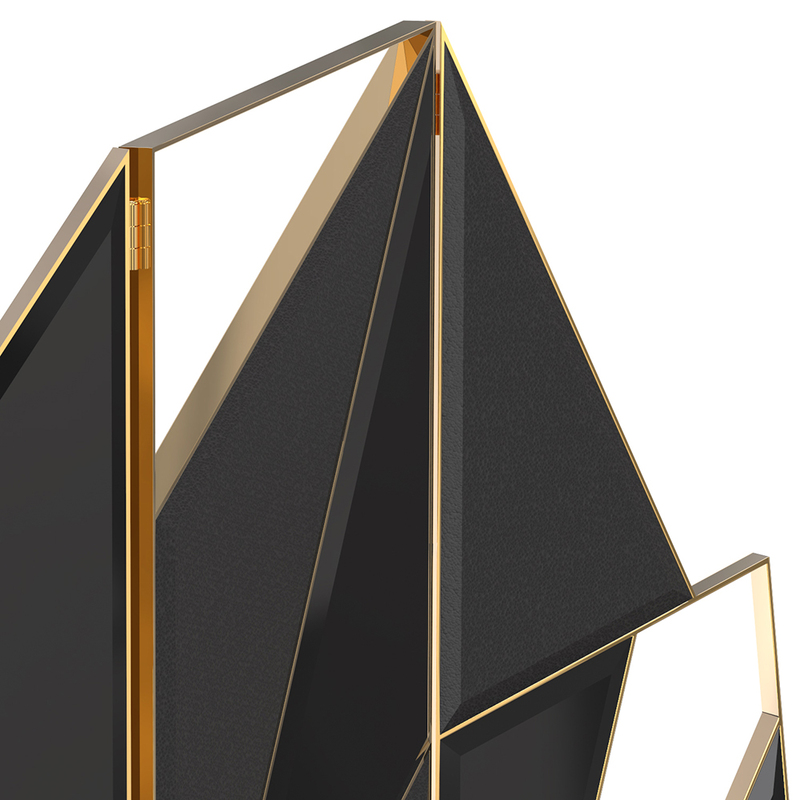 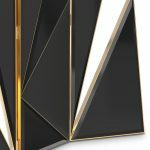 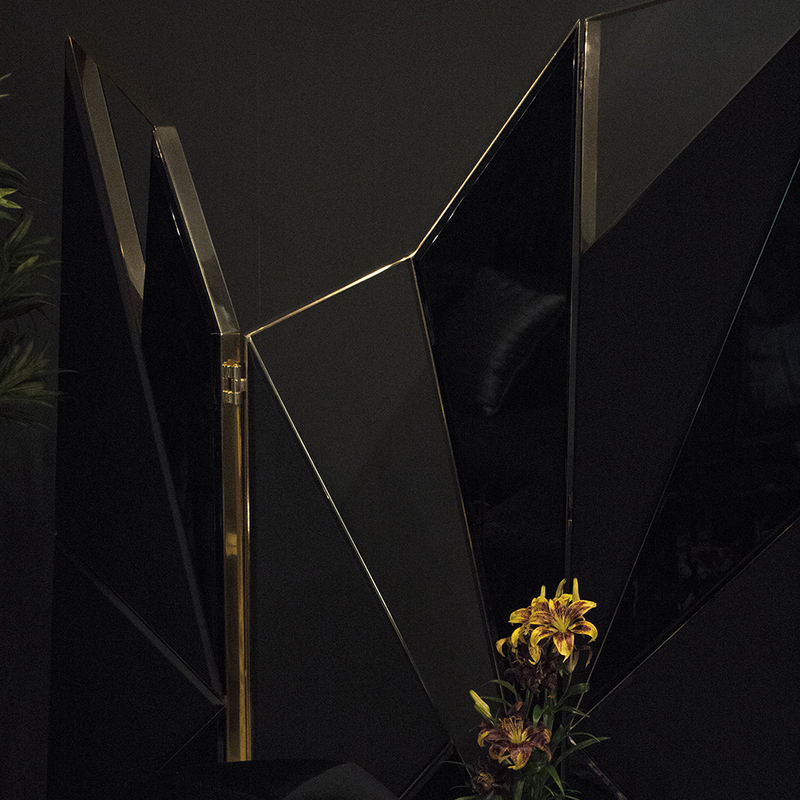 Some of the triangular pieces are upholstered in black leather which adds a perfect contrast. We can also produce this luxury folding screen in custom colours and bespoke sizes.